Although I don’t technically fast during Lent I do manage to enjoy a number of dishes created especially for this period. But I can tell you it wasn’t always like that. I used to hate fasting as a kid. I often thought of it as torture. The only thing that would keep me going was the inevitable rewards that I would get to enjoy on Easter Sunday. Koulouria. Tsoureki. And the lamb! Back in my day I can assure you that alternative foods that were dairy free and meat free were a little scarce in our household! But this is not a post to whinge about fasting during Lent. This is about being creative and making this tahini cake. 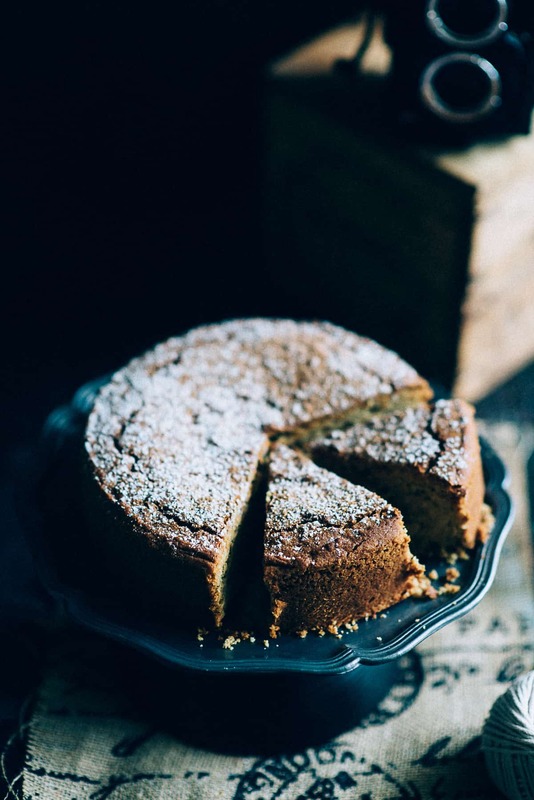 A delicious, very dense tahini cake. I will admit to being slightly skeptical when I heard about this recipe. My major concern was whether the cake would rise. Not only did it rise, but it went beyond my expectations. The orange juice gave it that wonderful, zesty aroma that citrus cakes are renowned for. The ground cinnamon and cloves pushed it to that next delicious level. But you know me. I love cinnamon in anything! The tahini released its subtle nuttiness and allowed the cake to come together beautifully! If you make this, do not expect a light, fluffy, sponge cake. This is a toothsome cake with a strong, dense texture. If you get the opportunity to make this I would love to know your thoughts. A vegan cake made with tahini. It's also spiced with cinnamon and orange for a little extra flavour. Preheat your oven to 180 deg c and grease and line a 20cm baking tin. In a stand mixer combine the tahini and caster sugar and beat until light and fluffy (approx. 2-3 minutes). Add the orange juice, zest and cognac and beat agin for 1 minute until well combined. Add the flour, spices and baking powder and gently fold through ensuring it is all mixed well. Pour into baking tin and cook for 45 mins. until a skewer inserted comes out clean. 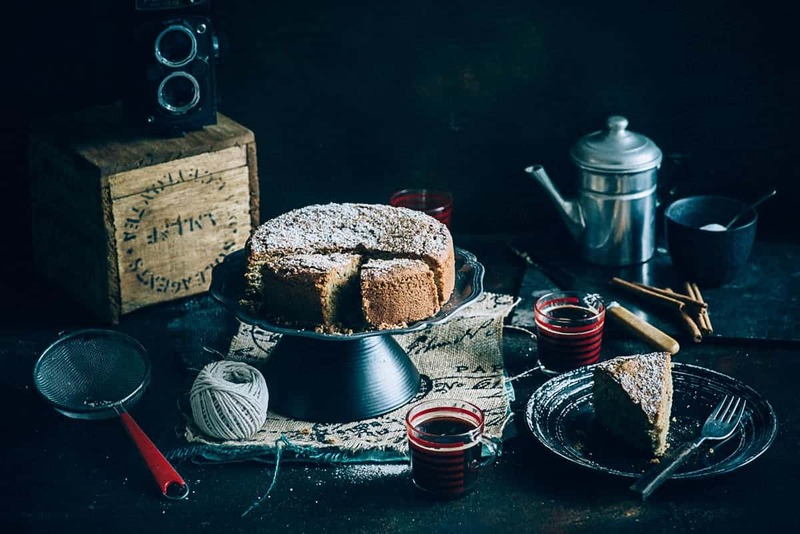 Allow to cool in the baking pan for 10 mins before removing and then allow the cake to cool completely before dusting with extra ground cinnamon and icing sugar.